NEW YORK: The asteroid that flew past the Earth January 26 has its own small moon, NASA said. In the first radar images of asteroid called 2004 BL86, scientists working with NASA's Deep Space Network antenna at Goldstone, California, show that the primary body is approximately 325 metres across and has a small moon approximately 70 metres across. The 20 individual images used in the movie were generated from data collected at Goldstone. The flyby was the closest approach the asteroid will make to Earth for at least the next two centuries. It is also the closest a known asteroid this size will come to the Earth until asteroid 1999 AN10 flies past our planet in 2027. 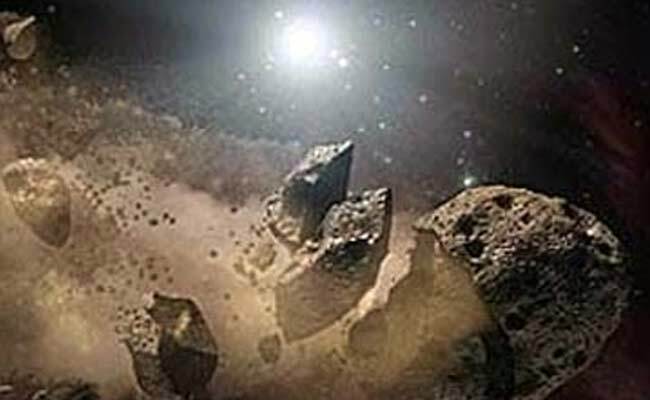 In the near-Earth population, about 16 percent of asteroids that are about 200 metres or larger are a binary (the primary asteroid with a smaller asteroid moon orbiting it) or even triple systems (two moons). In 2016, NASA will launch a robotic probe to one of the most potentially hazardous of the known near-Earth objects (NEOs). The OSIRIS-REx mission to asteroid (101955) Bennu will be a pathfinder for future spacecraft designed to perform reconnaissance on any newly discovered threatening objects.